Molybdenum crucible supplied by HEXON is characterized by its high purity, high density, exact tolerance, smooth surface, and fine inner quality. Technical parameters such as density, grain size, roughness, hardness, chemical composition, and mechanical properties can be tested by our professional equipments and reported. NDT including ultrasonic and eddy current are proceeded in our factory always in order to prevent hidden quality failures such as inner pores and cracks in the crucibles. According to different production technology and final application, molybdenum crucible can be classified in three types. HEXON are able to provide standard size for industry and tailor-made special size according to customers’ CAD drawings. Pressed-sintered crucible is formed by sintering and hot isostatic pressing (HIP). 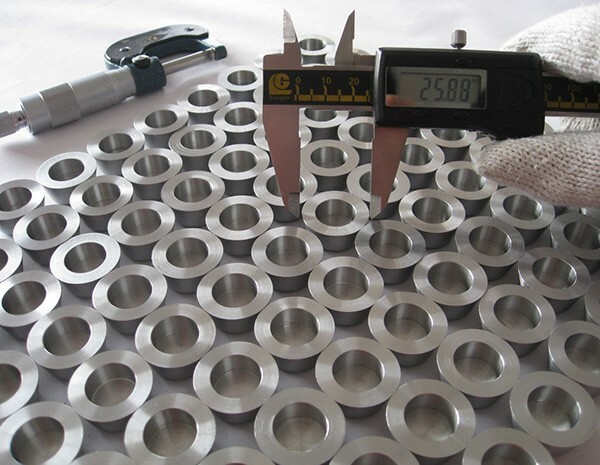 Net size and surface are machined by further milling, turning and polishing. They are widely used in sintering furnace, synthetic sapphire growing furnace, rare earth and glass melting furnace and related equipments. Forged-machined crucible is manufactured from forged and HIP pressed tungsten solid rods, by mechanically turning, milling and polishing. 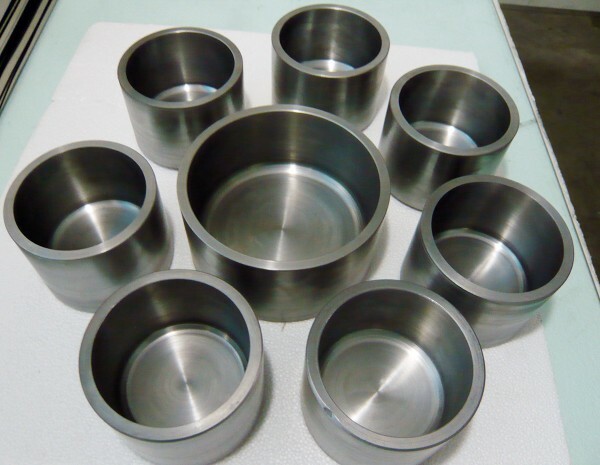 Because of molybdenum’s low vapor, high temperature and stable chemical properties, molybdenum crucibles are typically used as the evaporation source in vapor deposition fields. Spun molybdenum crucibles are a thin-walled crucibles manufactured from a single piece of molybdenum plate. This process can be used to produce large-size thin-walled crucibles. Spinning is a CNC controlled pressure forming and processing method to form thin-wall hollow rotary parts. It relies on the feed movement of rotary wheel or lever rod to add pressure to the metal blanks rotating along the same axis of core mold, thus making local plastic deformation to form the required hollow. 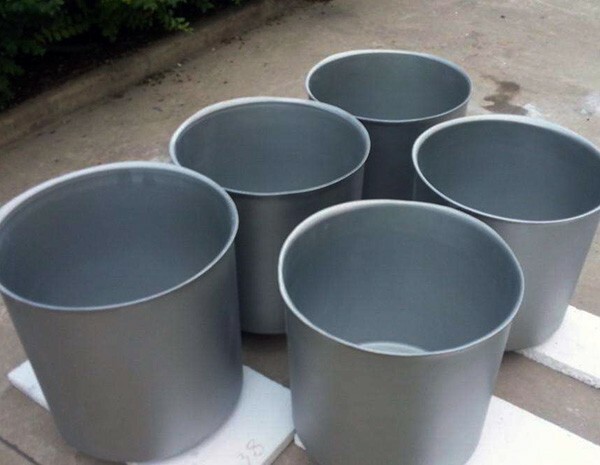 Spun molybdenum crucibles are widely used in Sapphire crystal growth, rare-earth smelting, and coating industry as melting containers.